Release 1.0.5 was published on November,2013 (around two months back). It was the most stable release so far and was extremely appreciated by our users. With the aforementioned release, we decided to come up with some newer features that can make our solution even simpler and better. We’re starting of three blogs series explaining these new features and here’s the first one. Release 1.0.5 marked it’s way towards great success. It offered some bugfixes and support to localization. Throughout our course, FonB has been through many remarkable developments. The only field that required a dire urge of betterment was: The Installation Procedure. FonB was developed as a user portal for average non technical users. The installation method however involved a number of steps. Some users, who were not well versed with Linux, considered this as the only complexity while handling FonB. So we ‘had’ to come up with a relatively simple, short, and quick method to install FonB. 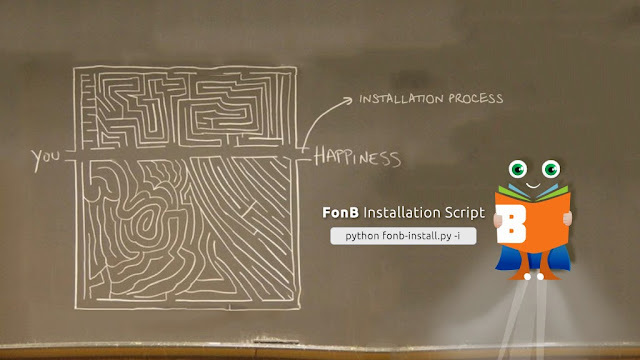 We came up with ‘Installation Script’, our simplified way of installing FonB. Installation Script, as the name indicates, is a Python based script which is written to do almost everything for you. It will install the latest version of FonB as a tar.gz compressed file, extract it, and create the configuration files (users.cfg & phoneb.cfg) by itself. It will populate the main config file (phoneb.cfg) by retrieving the right parameters available in different locations. The script resolves some repeatedly reported problems associated with FonB installation as well. Elastix & PBX In A Flash, for instance, requires PHP Compilation in order for FonB frontend to work. Installation Script automatically handles this issue. It downloads, make and configure PHP (definitely with user’s permission). IonCube configuration was another problem that has been taken away from users by the same script. FonB also requires a new database. Furthermore, it also requires some modification in a current existing one. Those of you who are not familiar with MySQL syntax, ought to be happy now as the ‘Installation Script’ is going to create the databases and alter the pre-existing one as well. To avoid CLI based workout, the script will ask you for the first extension to be put in users.cfg, so that you can login and check if everything went right. In simple words, we’ve saved you from a hectic 30 minutes of FonB installation procedure. It’s not more than 5 minutes simple process now. We are committed to making your lives easier and simpler. The ‘Installation Script’ to install and configure FonB with great ease is now available on our website. And for our Technical geeks, the main executables are also available for those who are interested in understanding the FonB installation architecture. Choose your course and start using FonB right away. The installation as well as the usage.. is now as easy as 1 - 2 - 3 !